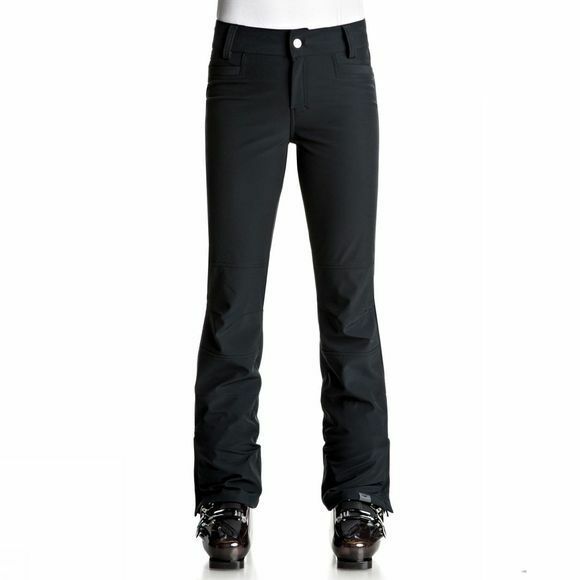 The Womens Creek Pant from Roxy features DryFlight 15K waterproofing for breathable protection from the elements. The skinny fit combines form-fitting and modern lines with a touch of stretch for a flattering and dynamic look that's undeniably feminine. Soft brushed-back polar fleece is soft on the skin while functional features like the jacket-to-pant attachment system, reinforced hem and taffeta boot gaiters with Lycra stretch panels simplify life on the hill. Please note: Roxy Ski Legwear items tend to be small sizing - Please size up at least one size compared to your normal lifestyle trouser style.